With the devastation wrought by hurricanes Harvey in Texas and Irma in Florida, it is a sobering reminder of the power and ruthlessness of Mother Nature. Disasters, natural or otherwise, don’t discriminate, so it is important for everyone to be sufficiently prepared. While having a stockpile of non-perishable food, bottled water and batteries should be your first priority, don’t forget about your smartphone. There are a number of apps available that have been designed with the sole purpose of helping people in emergencies. 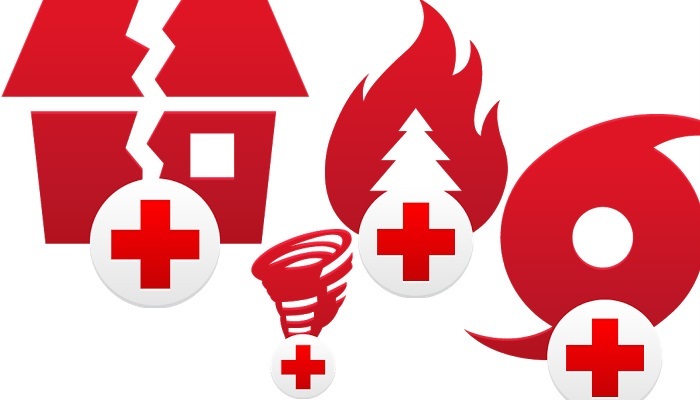 From the American Red Cross comes an intuitive app packed with useful information for virtually any scenario. 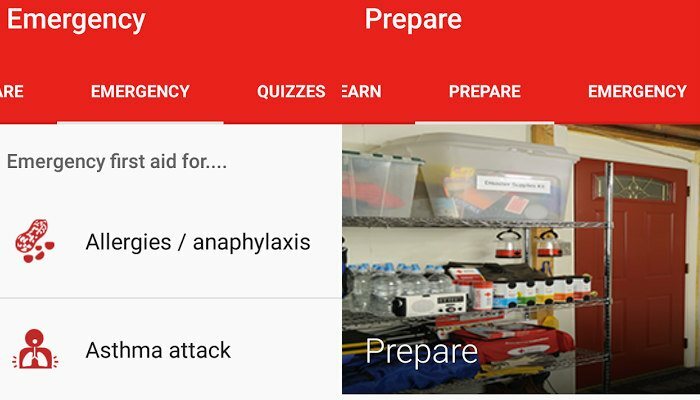 Whether you want to brush up on your first aid skills or have zero prior knowledge, this app has you covered. 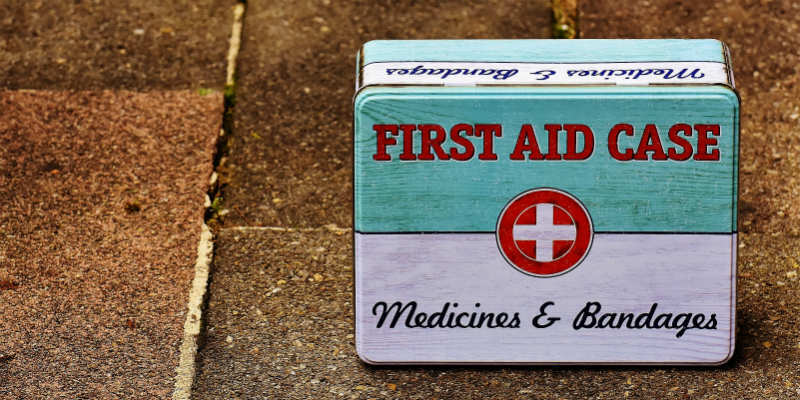 There are basic first aid lessons covering a variety of topics, complete with videos and diagrams. For emergency situations the app provides easy-to-follow step-by-step instructions to administering first aid. In addition, it includes an integrated 911 button, allowing you to call emergency services from within the app. The app also includes safety tips on a wide variety of situations, from severe winter weather to hurricanes. There are also interactive quizzes that help keep your lifesaving knowledge up to date. The app is ad-free, available in Spanish and does not require an Internet connection. In a disaster situation it can be easy to overlook the well-being of our four-legged friends. The Pet First Aid app from the American Red Cross is very similar to its human counterpart. There are easy-to-understand instructions to help guide you through veterinary emergencies, including size-specific CPR techniques. The app also features advice and tips on a range of topics including stress management and more. 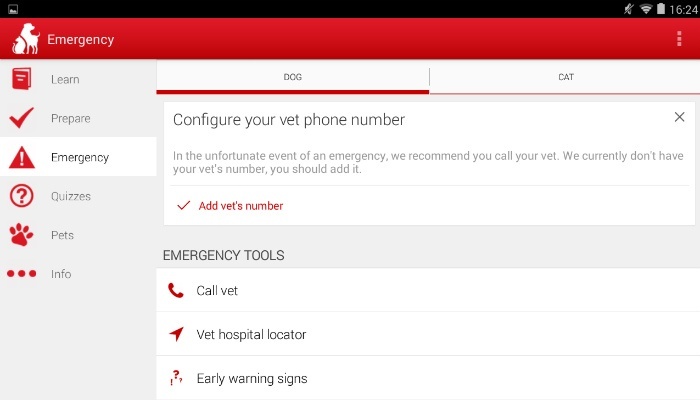 In addition, you can store your veterinarian’s contact number and provide locations to the nearest vet hospital. 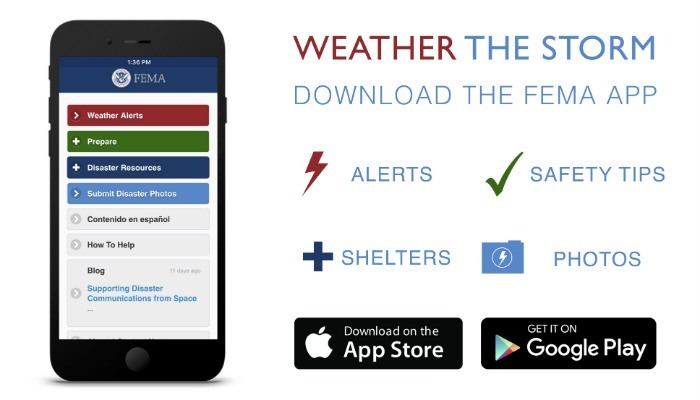 The official app of the Federal Emergency Management Agency is loaded with useful information. The app includes a database of tips for what to do before, during and after over twenty types of disasters. Furthermore, it can point you in the direction of disaster recovery centers and open shelters. In addition to potentially life-saving information, the FEMA app also features a number of handy tools. You can create a list of items in your emergency kit, as well as a list of family meeting places. Finally, the app includes a featured called “Disaster Reporter.” This allows you to share your disaster photos with emergency personnel to assist in rescue efforts. Do you live in an area prone to the wrath of Mother Nature? Whether it is severe weather or man-made emergencies, give Disaster Alert a look. 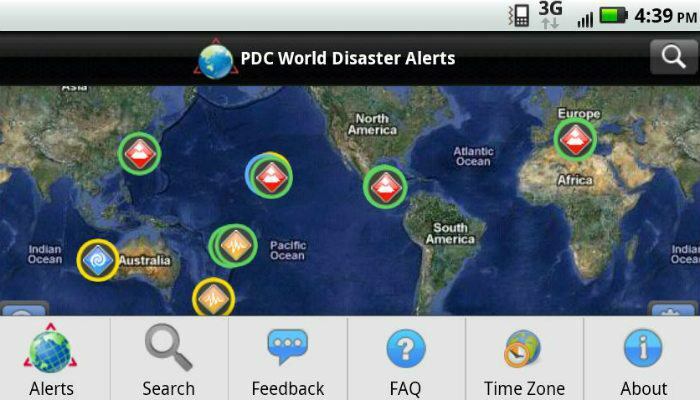 The app features an interactive map that lists active hazards around the globe. The app compiles information on a wide variety of incidents from authoritative sources worldwide. These incidents are “designated hazardous to people, property or assets.” Disaster Alert issues automatic updates every five minutes on everything from wildfires to tsunamis to volcanoes. In addition, users can view additional information that can be shared with others directly from the app. 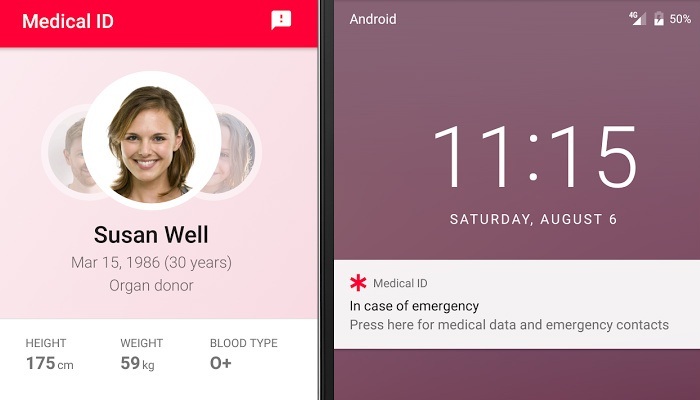 Medical ID allows users to create a customized medical profile that is displayed on your device’s lock screen. In the event of an emergency, first responders can quickly access vital, life-saving information. You can include information like your blood type, any allergies you may have, emergency contacts, medications you take and more. If you are incapacitated during an emergency situation, Medical ID can provide medical staff with the essential information they need to take action. Covered by the likes of Forbes, CNN, BBC, Fox News and more, bSafe has received numerous accolades. The app features an alarm that is activated by touch or voice. Once the alarm is activated, the app automatically sends your GPS location as well as audio and video to chosen contacts. 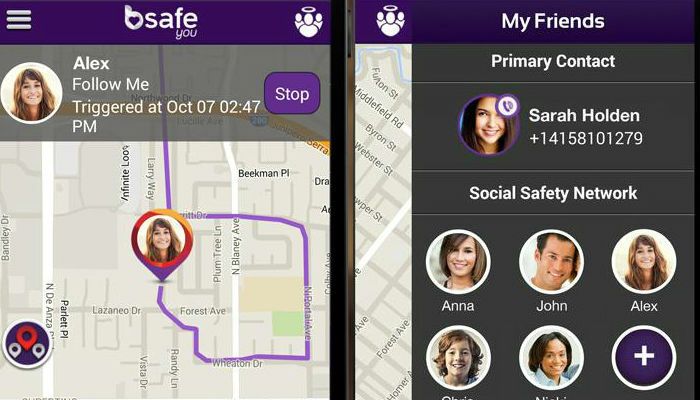 Real-time location info is the main draw, but the bSafe app was designed with everyday safety in mind. The Follow Me feature allows nominated contacts to follow you via GPS tracking. When you have arrived at your destination safely, those contacts receive a message. There is also a timed alert that automatically notifies your nominated contacts if you have not checked in by a certain time. Finally, there is a fake call feature which sends an automated call to your device, getting you out of potentially dangerous situations. The app supplies users with up-to-date notifications concerning the developments of these emergencies. In addition, the apps are chock-full of advice and tips that can help you navigate these disasters safely. Like the other American Red Cross apps, these are available in Spanish. Do you know of any other Android apps that can be life-savers in an emergency situation? Let us know in the comments! Most of the stuff on here applies to just the USA. like the above apps. These certainly are great apps to have, especially the Medical ID app.